Whether it's starting a business, making a film or creating an edible forest garden, there's a crowdfunding site trying to raise the money to get it started. But how does it work, and who really benefits? Crowdfunding is a way to gather small investments (or donations) from a wide range of people in order to fund a bigger project. This used to happen in all kinds of ways, from baking sales to angel investors and private equity funds. Now the internet has democratised the process, with a huge range of websites popping up to enable entrepreneurs, dreamers and charities to harness social media to bring in vast numbers of contributors. Where can I crowdfund a project? There are hundreds of websites dedicated to crowdfunding - just check CrowdFunding Guide's directory page to see for yourself. How you start depends on what you're raising money for, and what you're offering investors. Kickstarter and Indiegogo are the big names in creative crowdfunding, for example, if you're making a film or album. Generally you offer incentives, or perks, to people for contributing to your project. In business, crowdcube and Seedrs are well-known examples, but each site attracts a different crowd and calibre of investor, and expects different requirements from you in order to list your business venture. Raising funds this way is normally equivalent to selling stakes in your company. Charitable giving through sites like JustGiving is a bit different. Generally you just need your charity's registration number to prove the money will go to a good cause. Most crowdfunding sites will take a percentage of your total funds as payment for using their platform. 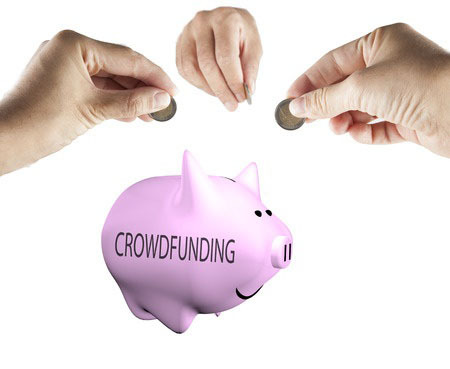 Crowdfunding is a tool that developed from the business world, and operates as such. It's vital to be clear about the terms and conditions before launching a project. It's also important to have a business plan, with all the numbers laid out. Most investors will need to know you're serious. You can use Money Dashboard's budget planner to organise you finances and expenses, and to manage your money once your project gets off the ground. Reasons to invest will vary from project to project. It could be about supporting good causes, and being a part of something bigger. Or you may want to fund and own a small business as a long-term investment. Each crowdfunding page will outline the benefits you'll gain as an investor: whether you'll share in profits, own shares in a newly created company, or whether you can expect repayments on your stake, with pre-agreed interest rates. You'll need to fully assess the value, and risks, of your investment before signing up. The Financial Conduct Authority, which begins regulating the market on the 1st of April, says no. Incoming regulations will cap individuals investments' in business ventures (where they become stakeholders) to 10% of their savings, unless they are provably 'sophisticated' investors, high-net worth individuals or advised by professionals. Charities and creative projects are unaffected by these rules. There's no doubt there's a great risk to investing in businesses this way, but as long as you understand them before you enter, manage your finances sensibly, and keep track of regulator rules, you can take advantage of crowdfunding to invest, or even gather your own funds.